Need a quick dish for your next party or potluck dinner? If you’ve got eggs and mayonnaise you’re good to go! 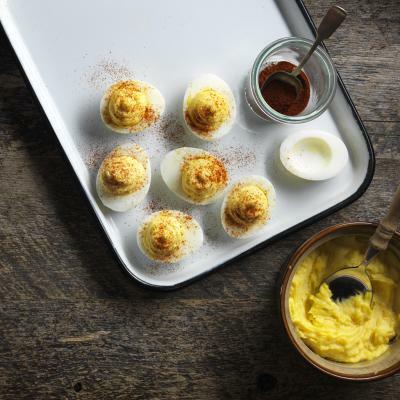 Devilled eggs have been a go-to appetizer since the 1950s, and it’s easy to see why. This tasty finger food can be prepared up to two days ahead of time and can be tailored to suit every taste. These Smoked Salmon Devilled Eggs, and these Dill and Caviar Devilled Eggs make sophisticated appetizers, while this crab meat variety is sure to impress. Looking for something more casual? Keep it simple with these classic Red Sand-Dusted Devilled Eggs with their signature sprinkling of red paprika garnish. For the kids, try these California-Style Devilled Eggs, with Dijon mustard, balsamic vinegar, and fresh basil. "Devilled” means food with a zesty flavour. For something a little spicy, try these Zippy Devilled Eggs, with a hint of chilies and hot pepper. 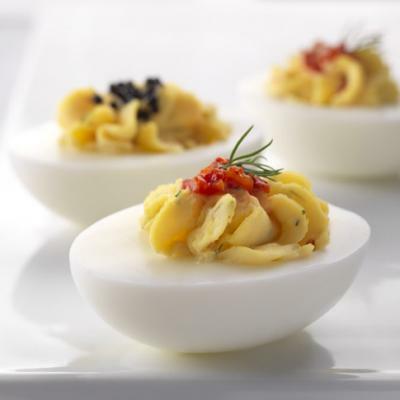 Although devilled eggs have long been associated with the party platter, they go far beyond an appetizer. Devilled eggs also pair well with soup and salad, like these Herbed Devilled Eggs with Dijon mustard, chopped chives, fresh parsley, tarragon, and garlic. 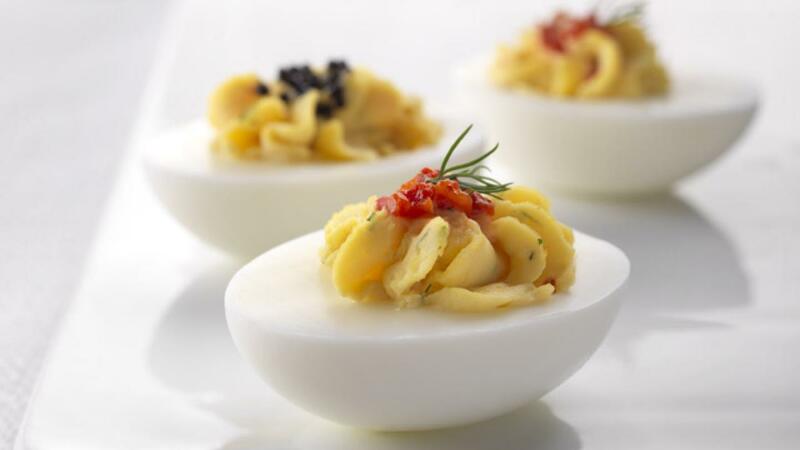 When you’re in a hurry, keep a few devilled eggs in the fridge as a delicious and healthy snack on the go. 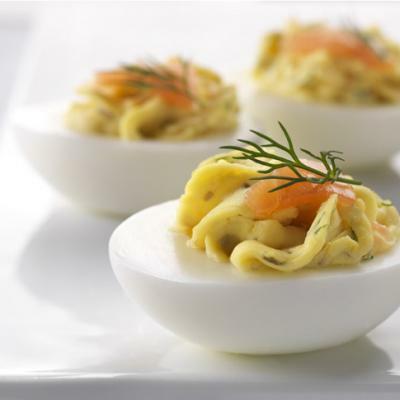 From picnics, to holidays, to school gathering and more, devilled eggs are a versatile recipe. Get creative and make your own unique version from the basic recipe.